Ladies and Gentleman, there is a new vintage store in Downtown Urbana, and it rocks. 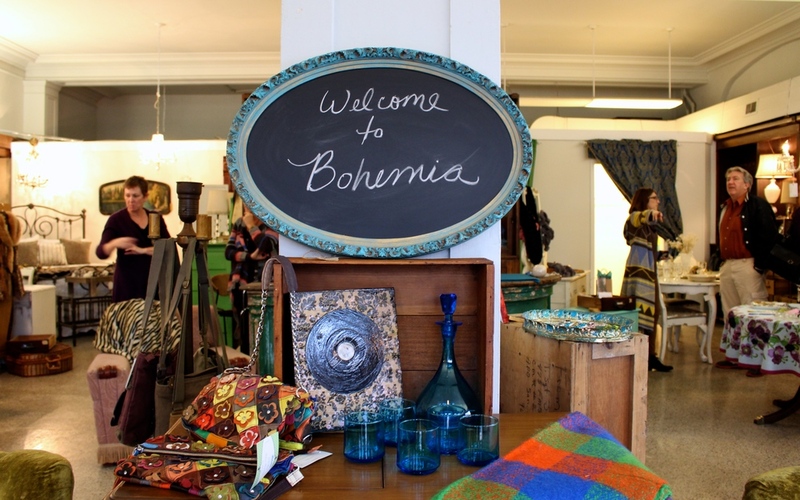 It's called Bohemia, and they describe themselves as a "unique blend of vintage home decor, apparel and artist's creations with a vintage vibe." It's worth checking out. So much so that I made this little 30 second teaser video for you. You can also take a gander at some of the photos I snapped this past weekend. Check out their Facebook Page for more info, but make sure to go visit the store. Everything looks even cooler in person. Extra bonus: Visit them during their Ribbon Cutting on Friday, Nov 22 @ 5pm. Cheers!